UnitedHealth Group is the largest health insurance carrier in America today. 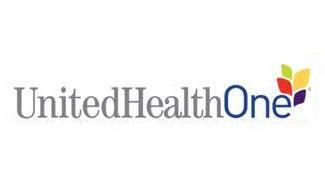 The company was founded as United HealthCare Corporation in 1977 and was renamed UnitedHealth Group in 1998. Nearly 100,000 people are employed by UnitedHealth. The company generated $101.8-billion in revenue in 2011 and is ranked 22nd on the “Fortune 500.” Nearly 70-million people are insured through UnitedHealth. Here, we will examine what UnitedHealth has to offer, and what UnitedHealth One insurance reviews are saying. UnitedHealthcare is available in all 50 states, but some plans are not available in all areas. The company provides access to more than 3,600 hospitals and 433,000 physicians. In 2010, readers of “Business Insurance” declared that UnitedHealthcare was the best health care providers in the country. However, 65% of hospital executives said they had an unfavorable opinion of the company the very same year. More recently, the American Medical Association and J.D. Power and Associates gave UnitedHealthcare high praise for its self-insured health plans. When it comes to consumers, the vast majority of those who leave reviews online are not pleased with UnitedHealth. In fact, 83% of the 154 people who left a review of UnitedHealthcare gave the company only one out of five stars. Conversely, only 1% said UnitedHealthcare was a five-star company. Not a single consumer gave United three or four stars on the site.